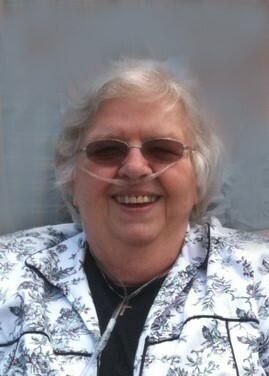 Evelyn (Ghezzi) Proulx, 85, of Plainville, devoted wife, mother and grandmother, died peacefully with her family by her side on Tuesday, March 26, 2019, following a lengthy illness that she faced and fought with strength and grace. An Italian girl born in New Britain on July 8, 1933, she was the youngest of three children to the late Domenic and Zuna (Gaviola) Ghezzi. She attended local schools, and went on to further her education at UCONN. Evelyn married the love of her life, Robert L. Proulx at the age of 23, with whom she shared 62 years of admirable devotion. They settled in Plainville where they raised their family of six and were rarely seen without one another, strolling hand in hand. Together they shared a passion for the arts, music, Broadway shows, and had an unparalleled sense of community support. Their favorite times were spent surrounded by their family and building friendships that spanned decades, especially with the “BS Club”, the Petit, Chambrello, Millerick, Tarascio and Lang families. The matriarch of her family, she led by example with her unwavering strength and bright spirit, leaving a legacy of love and many joyous memories. In addition to her sweetheart, Robert, she leaves her adored children, David and his wife, Lina, Tom, Marianne, Michael and his wife, Maryann, Joanne, and her pride and joy, Suzy, with whom she shared a special bond; her three grandchildren, Evan, Spencer, and Olivia; her sister, Louise Reckert and many loving nieces and nephews. She was predeceased by her brother, Rudolph “Nick” Ghezzi. A Mass of Christian Burial in celebration of Evelyn’s life will be held on Saturday at 11:30 a.m. at St. Matthew Church, 120 Church Ave, Forestville. Family and friends may gather prior to the Mass of Saturday, from 9:30 to 11:00 a.m. at Plainville Funeral Home, 81 Broad St, Plainville.